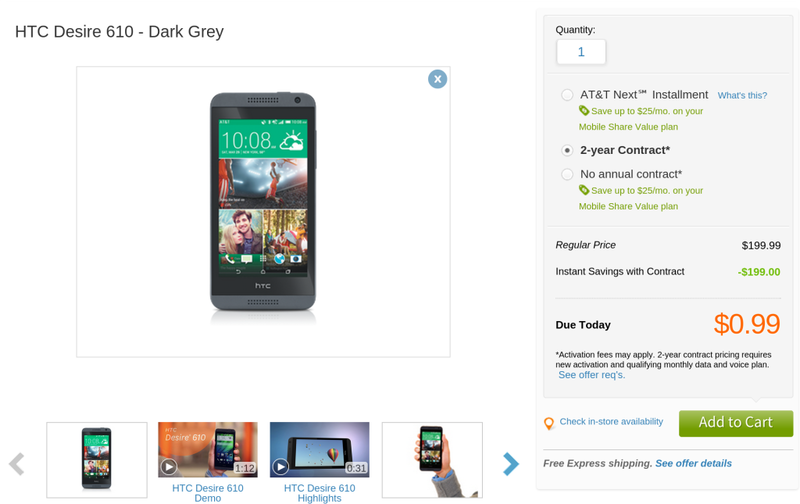 The HTC Desire 610 is now available from AT&T, marking the first time in years that the Desire brand has appeared on carrier store shelves in the US. The phone is very affordable, going for just $199.99 without an annual contract. With one, it's only 99 cents. 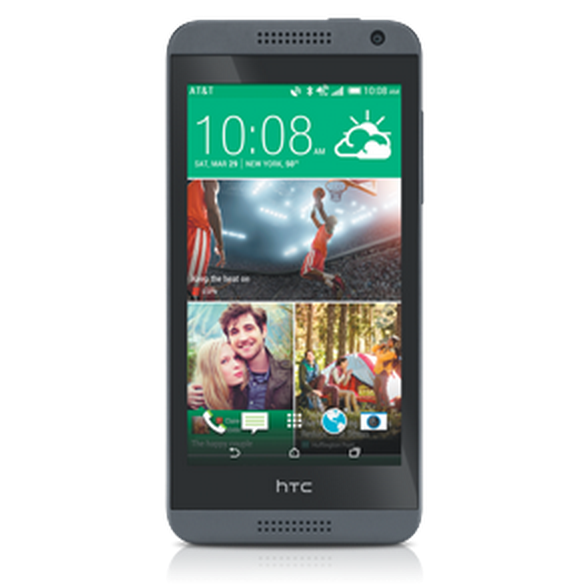 We've detailed the HTC Desire 610 before, so I'll keep this brief. The low-end phone comes with a 4.7-inch screen sporting a 960 by 540 resolution. On the inside, there's a 1.2GHz quad-core Snapdragon 400 processor, 1GB of RAM, and 8GB of storage (expandable via a MicroSD card). There's an 8MP camera on the bac, along with a typical 1.3MP one on the front. All of this is powered by a non-removable 2040mAh battery. None of these specs will blow the roof off, but priced at $200, purchasing the Desire 610 isn't a bad way to buy a phone that looks like it cost more than it does.